It's getting darker earlier and there is a chill in the air, which makes me very happy! I can't wait for the leaves to begin to switch up their colours and for it to be socially acceptable for me to play Christmas music. Yes, I am that person who would start listening to Christmas songs in August if the world would not chastise me for it. But in the mean time, I am excited to listen to veer toward a more melancholy soundtrack and list of films and cozy up on the couch. These are great looks for that awkward space of time when it's too chilly to not wear a sweater, but still not cold enough to properly bundle up. 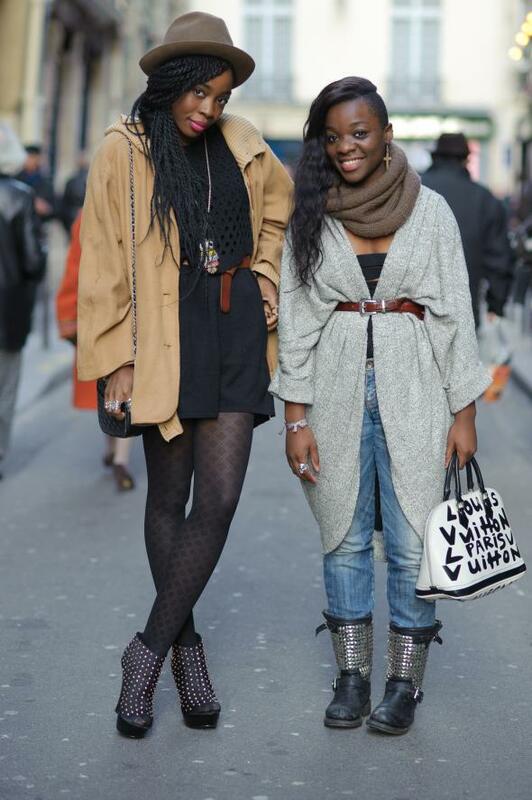 I am loving the rule-breaking of pairing black and different shades of brown together. Gorge. The unconventional colour-combinations here are everything. Who knew red, turqouise, and hot pink could go together so well. Ms. Bomo did and she is gracious enough to share this with the rest of us. Also loving the oversize sweater with the peak-a-boo skirt. Going to be living in looks like this one this autumn, to be quite honest. In addition to being a colour palette connoisseur, Andrea is master of combining textures. Here she brings together cozy knits, smooth leather, and crisp linen to make an amazing fall/winter transitional outfit. How perfect is this suede-shearling coat? I've been searching for one like this for quite some and this look is making me think that I need to amp my search. Open-toed shoes with sandals is the future, y'all. We can thank Andrea Bomo for teaching us the way forward. Make sure to stop by her blog and show her some love. Who's inspiring your fall moodboard?